FOOD: Please bring a dessert or side dish to share. 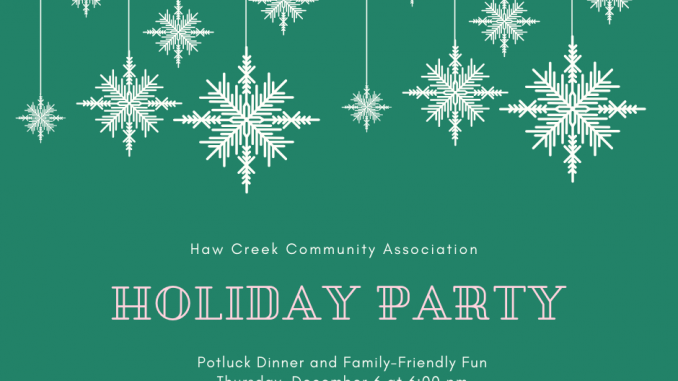 The HCCA will provide a main dish. RSVP: Click here to RSVP and to sign up for a dish to bring. INFORMATION SUBJECT TO CHANGE. PLEASE CHECK BACK AS THE DATE GETS CLOSER. We received preliminary plans for the project from our design consultant early this week. The City will need to review the plans and walk the project area to see what changes, in any, we’d like to see. Following that, we’ll schedule a community meeting to gauge community reaction and ask for ‘final’ plans based on the community and NC DOT review. Since there’s a federal funding component, we’ll need to have the plans put through that review process as well. It’s a long process, but this area is not an easy one to design a sidewalk for (we say that the easy ones are built already). Since we’ll also need to plan utility relocations, easement acquisitions, etc., we expect to begin construction on the project within the next 18 months or so.